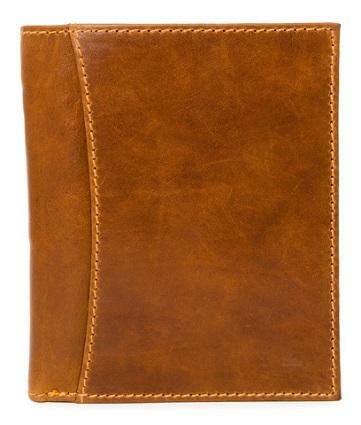 A men's wallet with day planner is an indispensable gifts for any gentleman in today's stressful society. It's a simple fact of life that men need wallets in order to keep their things organized. Were it not for men's wallets, the disorganization of credit cards, receipts, money, and photographs would result in lost valuables at worst or, at best, valuables being sent through the washer and dryer on permanent press! The day planner is also an important organizational tool, which allows an individual to schedule meetings, arrange their day to day activities, and keep important notes and lists intact and in one place. A men's wallet with day planner is the tool du jour to help men keep track of their important dates and activities: more reliable than an electronic device, and far classier and less expensive. Following are a couple of the features you should take note of and look for when buying a wallet for a gentleman. Velcro wallets become useless over time as the Velcro strip loses its adherence. Plastic wallets wear out and tear, leaving men with the risk of a wallet that no longer holds the necessary items. Fabric wallets, while durable, may not stand up to the rigors of daily wear and tear that sturdier materials usually can. A leather wallet is sturdy, elegant, and extremely useful. Most contain windows for credit cards, a driver's license, and slots for such essentials as social security cards and money. Larger travel wallets also include slots for things like a passport, which can be extremely helpful for those who travel often. Such wallets might be sold under different names, such as "office organizers" and "planner wallets;" however, all accomplish the same purpose. Irrespective of the size of a wallet, a day planner can fit inside most and will help the man you know to become more organized and time efficient. Leather wallets come in many shapes and sizes, but the fine quality of a leather wallet goes unmatched by any number of natural and synthetic materials you may opt to buy instead. By going with leather, you will ensure that your purchase is both timeless and useful. Pocket wallets may be unreliable if, when pulled from a back pocket while in line at the mall or supermarket, money and credit cards fall out easily. A wallet clasp, particularly for the more "clumsy" gentleman, is absolutely essential. Some clasps are made of metal and affix similarly to the buttons on a coat or a pair of pants. Others clasp with the aid of Velcro or close easily with a zipper. Take into consideration the type of clasp you would like on your wallet, but think practically. For instance, if a man holds his wallet in his back pocket, a metal clasp or button might make it difficult to sit down while carrying the wallet, necessitating a zipper. Others carry their wallets in their briefcase, which may negate the need for a clasp at all. Think both logically and aesthetically when choosing a wallet that zips or clasps. It can be difficult for many individuals to stay organized, and a men's wallet with day planner is a surefire way to keep an individual on top of his game when it comes to scheduling meetings, appointments, dates, and important events. Planner wallets are among the more popular wallets that contain day planners because they are relatively large and easy to write in. However, some gentlemen prefer to carry their wallet inside their back pocket, which calls for a much smaller billfold or trifold type piece. Planners are available in all shapes and sizes. Recently, mini-planners have become a popular item since they fit in average sized wallets without too much hassle. Compact planners and zipper planners may be more appropriate for those whose important documents are carried inside a briefcase. Whatever the case, high quality wallets in a variety of materials come with planners inside of them to assure that an individual is rarely late and always has his affairs perfectly in order. When you choose a wallet with a day planner, focus on function and form. The planner should include pages for your appointments or other types of facts you need to keep on hand. It should fit nicely in the wallet, which should not be too cumbersome to carry. Look at a few before buying to ensure you get the wallet you desire.